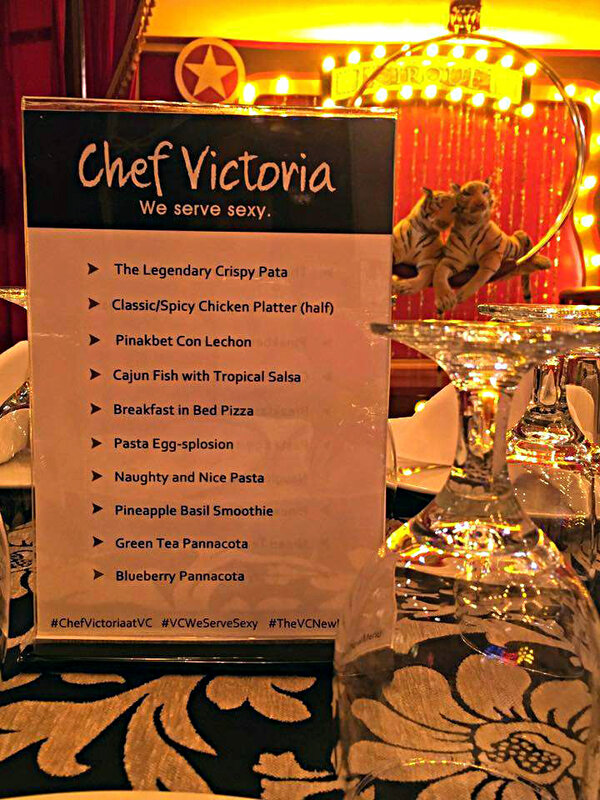 Last Tuesday, I went to Victoria Court Hill Crest, Pasig City to witness the launching of Chef Victoria’s new, unique and delicious dishes. 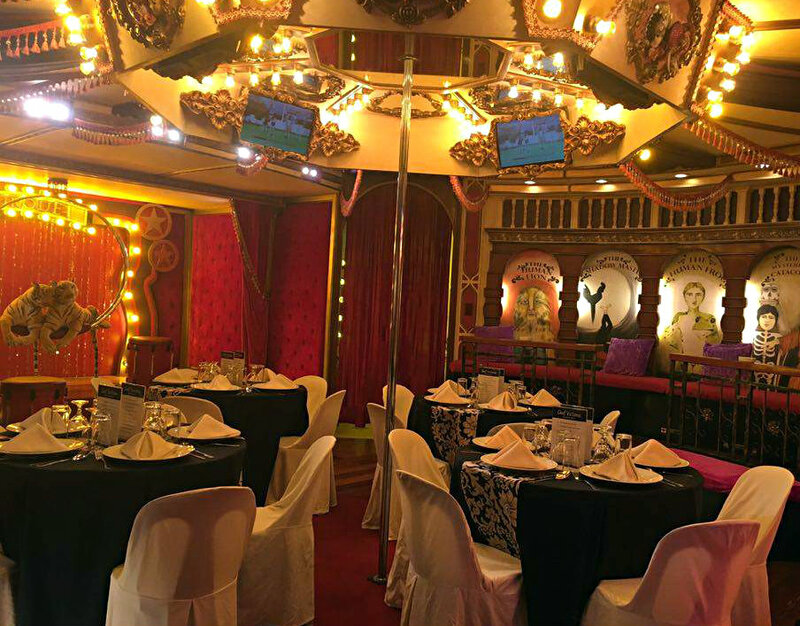 The launch was held at their Cirque Suite at the Panorama Station. 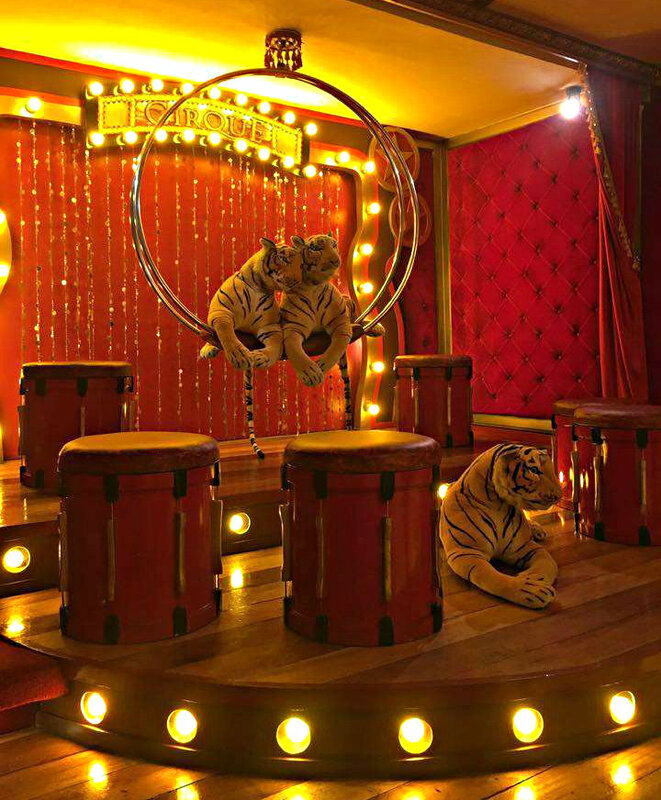 It was my first time to visit Victoria Court’s themed Suite and all I can say upon entering it was WOW! 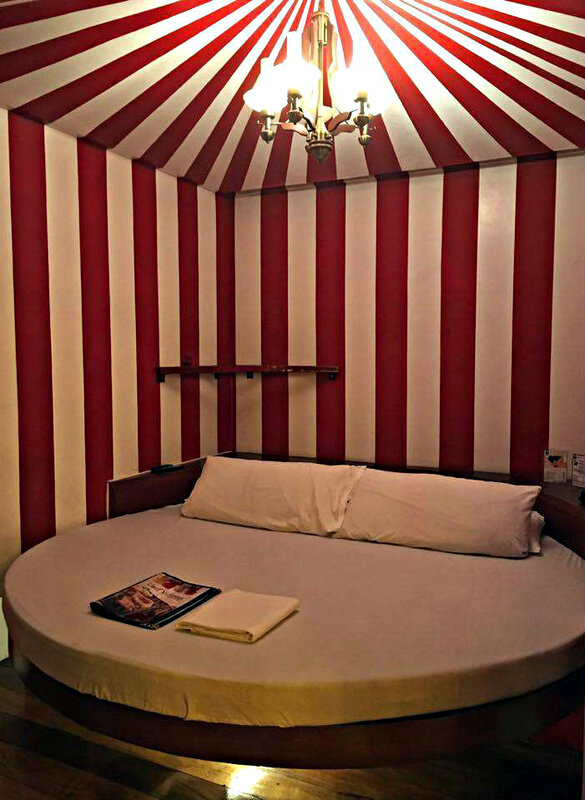 I never imagined that their themed Suite would be that detailed. 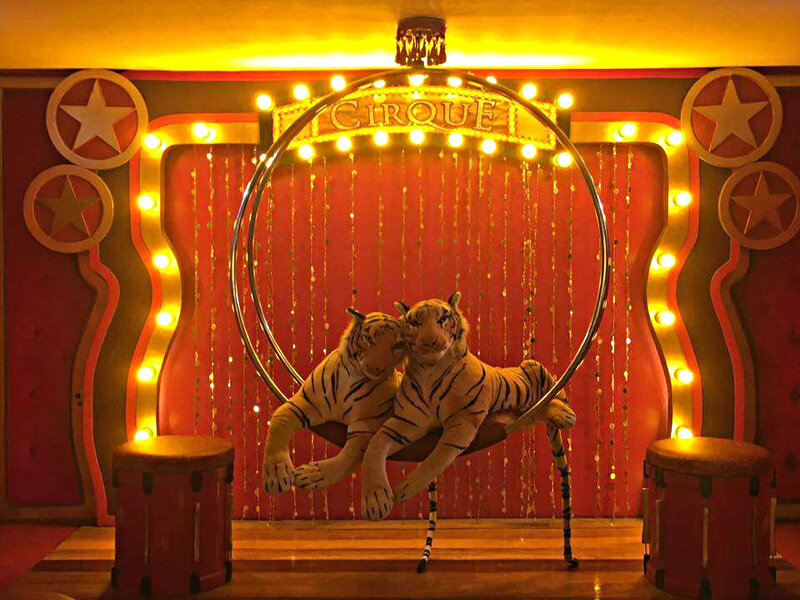 The moment I step inside the room, the hustle and bustle Pasig City faded and transformed into a Cirque. 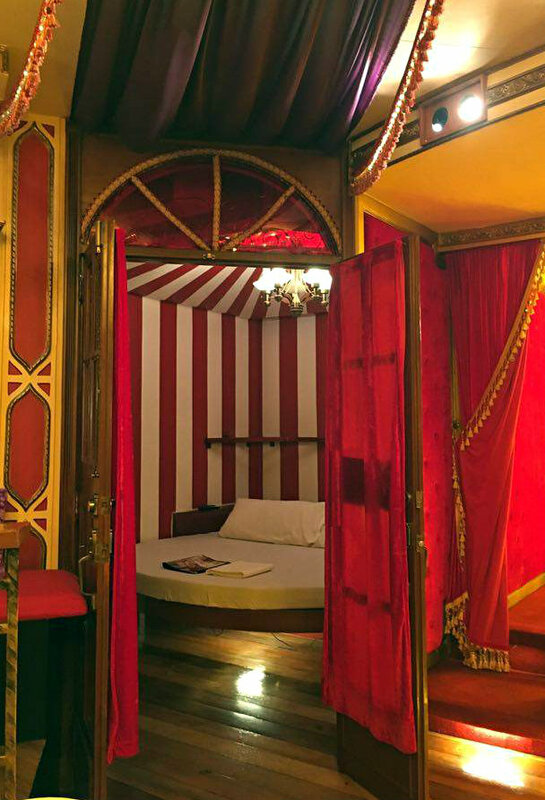 The room has every details that a Cirque has. 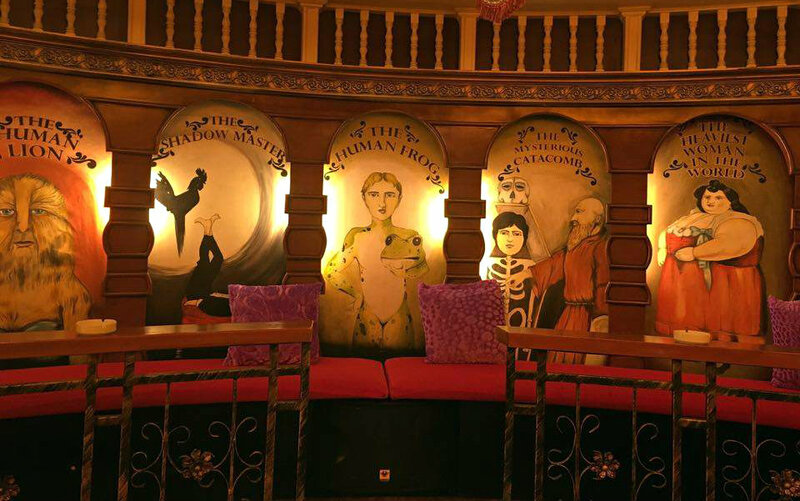 I love the wall paintings of different characters that can be seen in the Cirque, carousel in the middle with monitors that you can use if you want to sing your favorite song in the Videoke, Cirque games like hoops and darts with the prices that you can get if you win in the former and the latter, stage with tigers resting on a swing with chairs that looks like drums scattered strategically on the stage and of course the bed inside a Cirque tent. 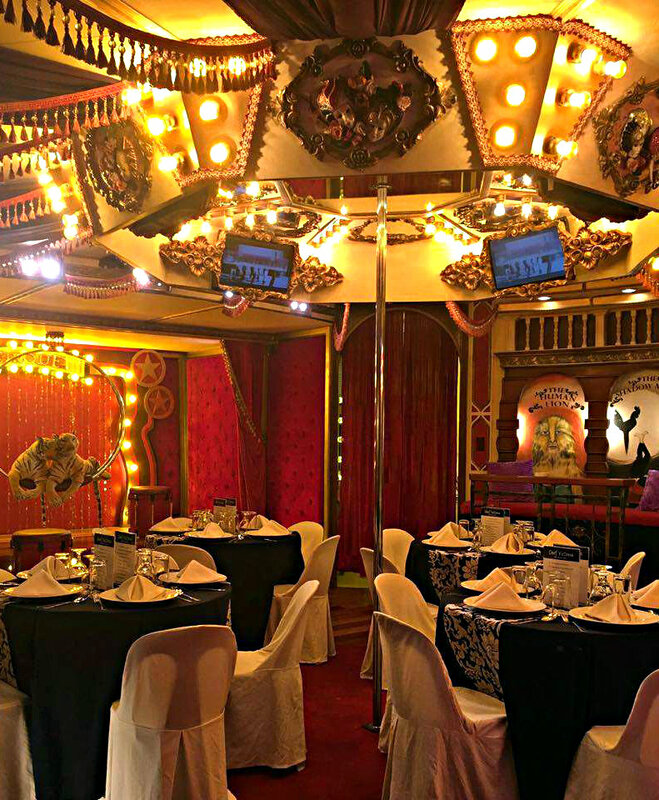 This Suite is perfect for parties and can accommodate 30 people. For Chef Victoria’s launching, chairs and tables in black and white were strategically placed in the middle of the suite and a large black table at the back where the new dishes were placed so that we can see them up close before the dinner. Victoria Court’s Sales and Marketing Director, Ms. Tanya Llana and her team introduce that night ten of Chef Victoria’s mouthwatering dishes which includes the Legendary Crispy Pata, Classic and Spicy Chicken Platter, Pinakbet Con Lechon, Canjun Fish with Tropical Salsa, Breakfast in Bed Pizza, Pasta Egg-splosion, Naughty and Nice Pasta, Green Tea Pannacota, Blueberry Pannacota and Coffee Pannacota. 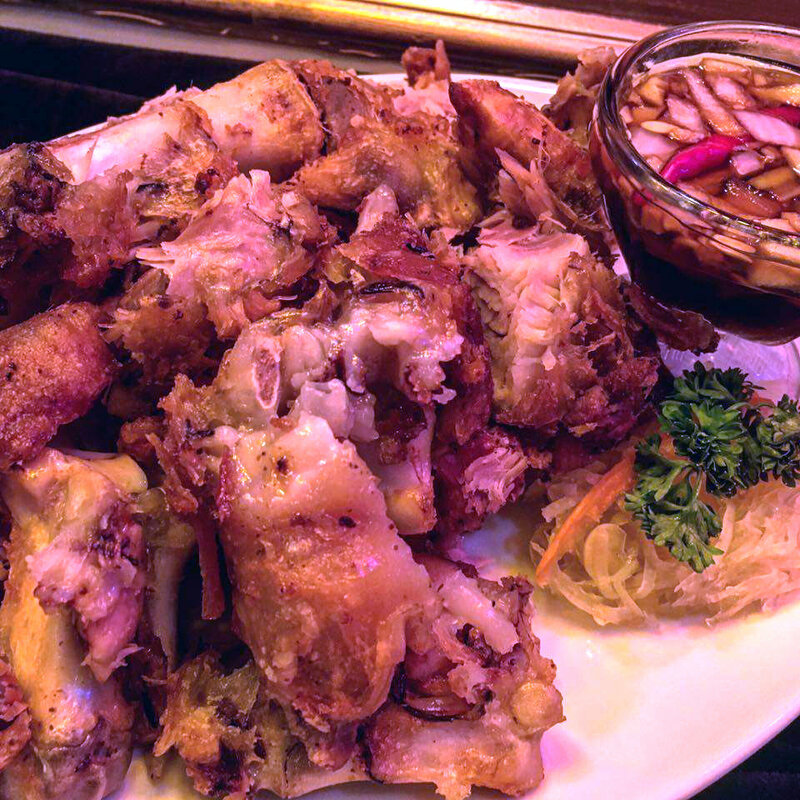 Staying in Victoria Court is not complete without tasting it’s famous Legendary Crispy Pata. This delectable Crispy Pata is crispy on the outside and has tender and juicy meat on the inside with special sauce that has mix of sweet, sour and cucumber after taste. 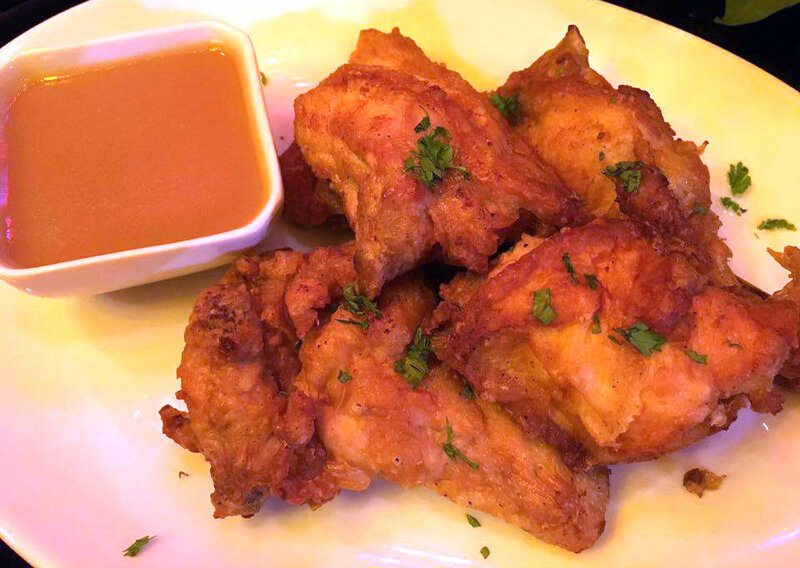 Chef Victoria’s Chicken Classic has perfectly marinated, juicy and tender meat with creamy gravy. 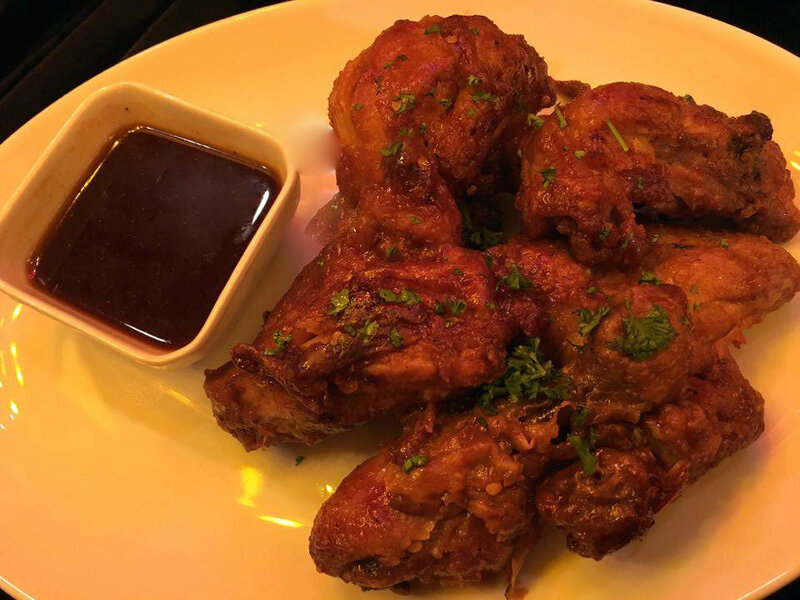 Spicy Chicken like the classic one has juicy and tender meat and coated with sweet and spicy sauce. 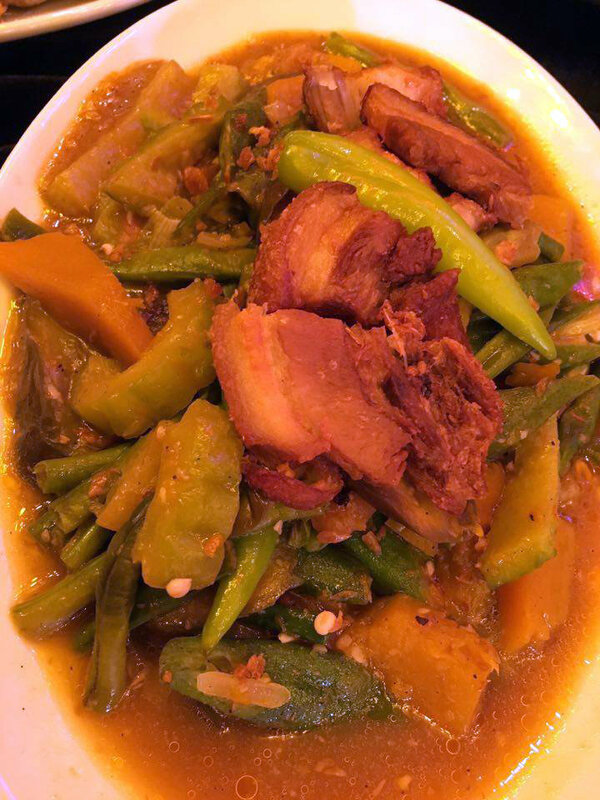 I rarely eat vegetables but if it is crunchy and has sweet and salty bagoong sauce like Pinakbet Con Lechon of Chef Victoria, I would definitely finish a plate full of it. 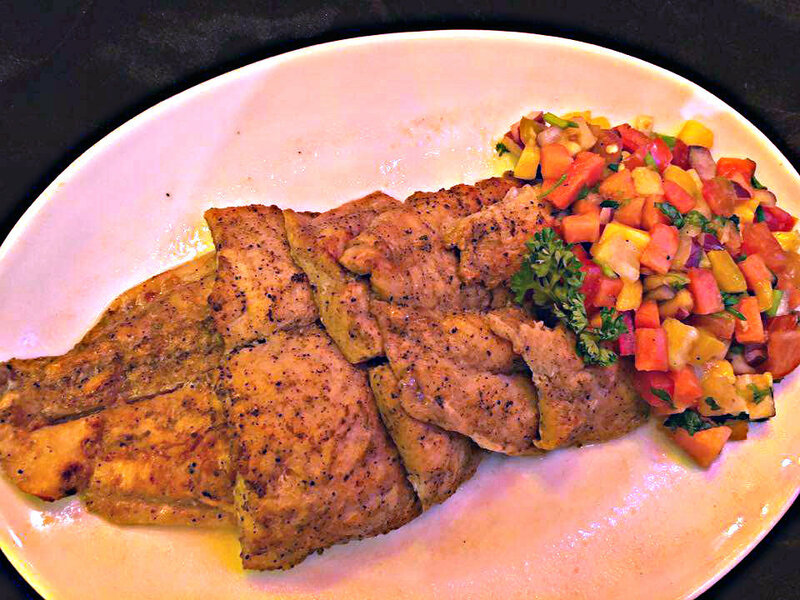 Canjun Fish with Tropical Salsa has baked cream dory that melts in your mouth and perfectly marinated with canjun powder and lemon extract that gave the fish a citrusy flavor. This is best partnered with the salsa’s mango bits. 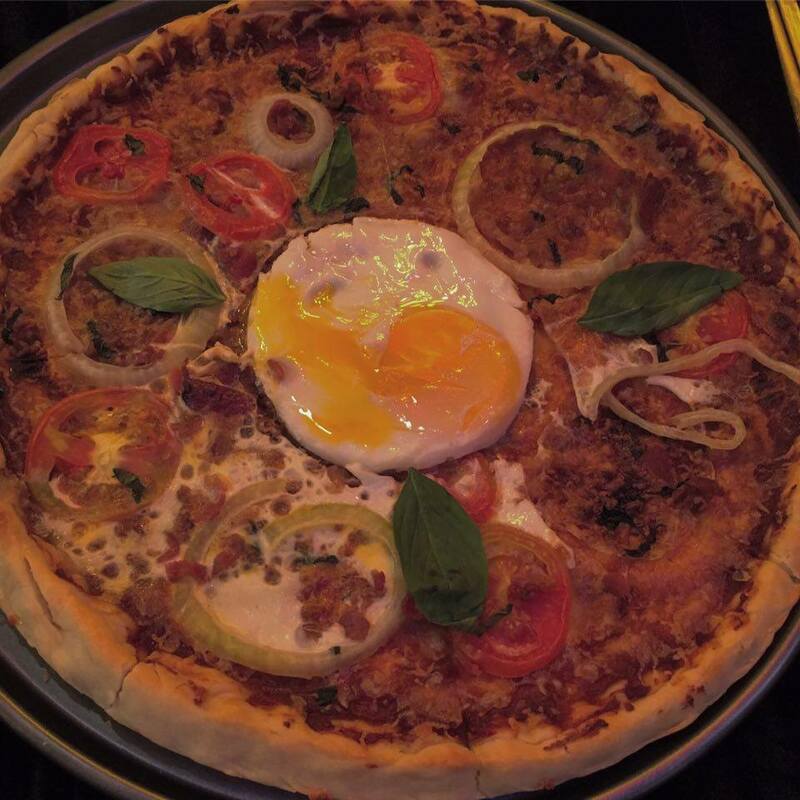 Pizza with sunny side up egg in the middle, that’s Breakfast in Bed Pizza. This is a thin crust pizza with sweet tomato sauce and has bits of pieces of bacon, tomato and onions. 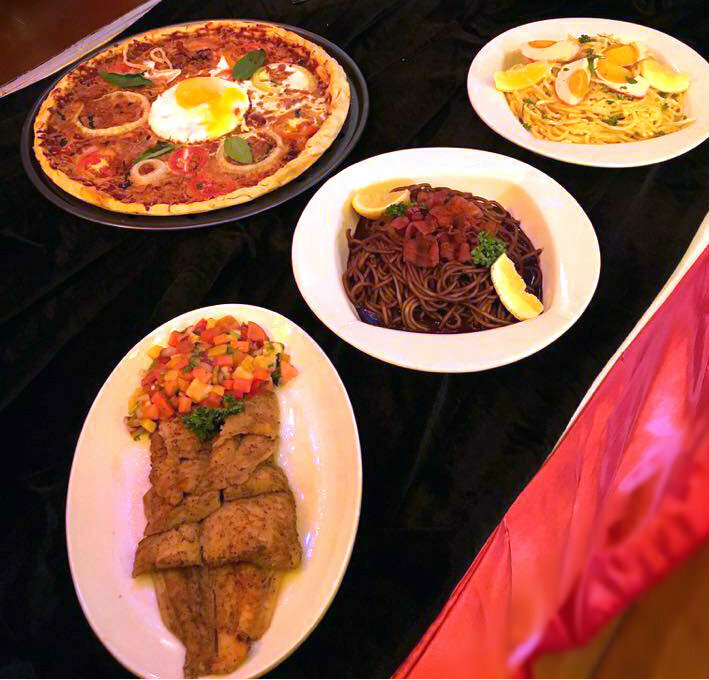 A menu is not complete without pasta, that’s why Chef Victoria included two pastas in her menu- Pasta Egg-splosion and Naughty and Nice Pasta. Pasta Egg-splosion is made with tender al dente spaghetti noodles. This pasta is creamy and cheesy with a bit of saltiness coming from the salted egg topped on the pasta. Have you tasted a pasta with chocolate sauce? 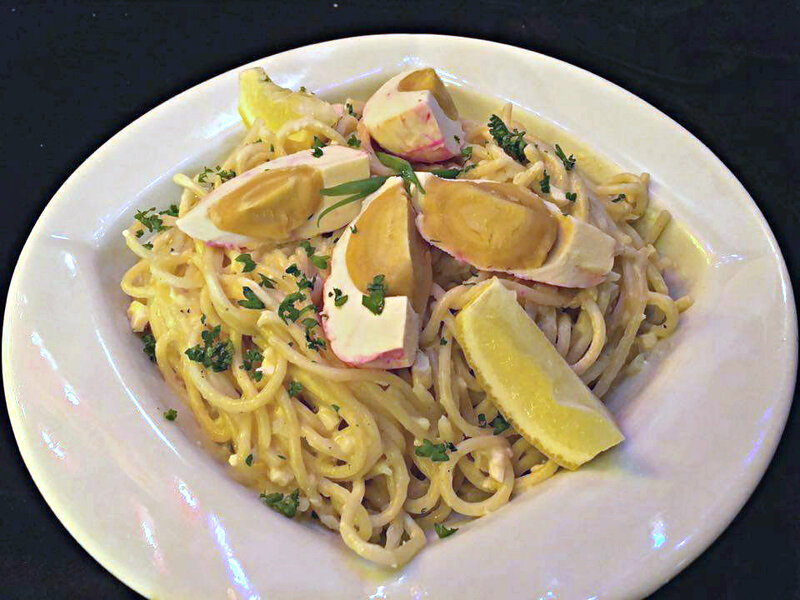 If not, try Chef Victoria’s Naughty and Nice Pasta. This pasta has chocolate sauce and topped with bacon bits. 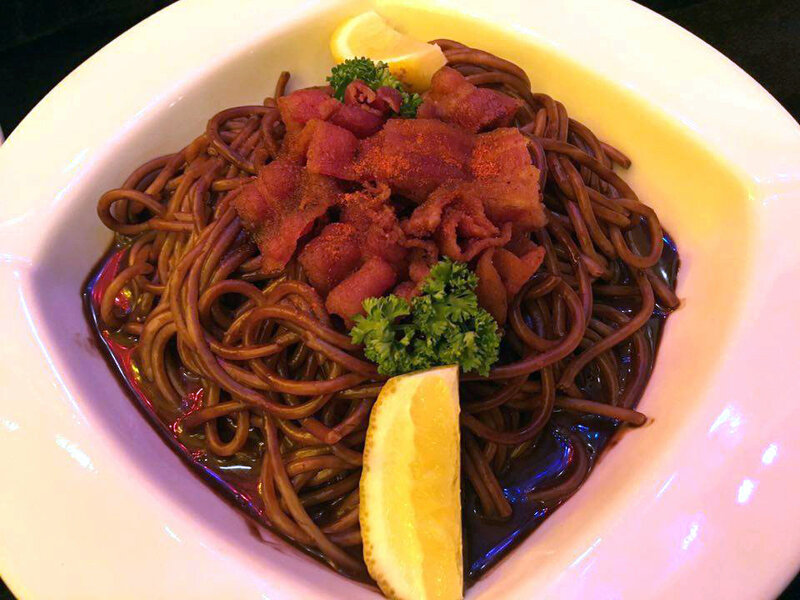 Naughty and Nice Pasta has tender pasta and tastes chocolaty, spicy and a bit salty when mixed with the bacon. You might think it would taste weird, but I am telling you it is delicious and this pasta is one of Chef Victoria’s aphrodisiac dish. 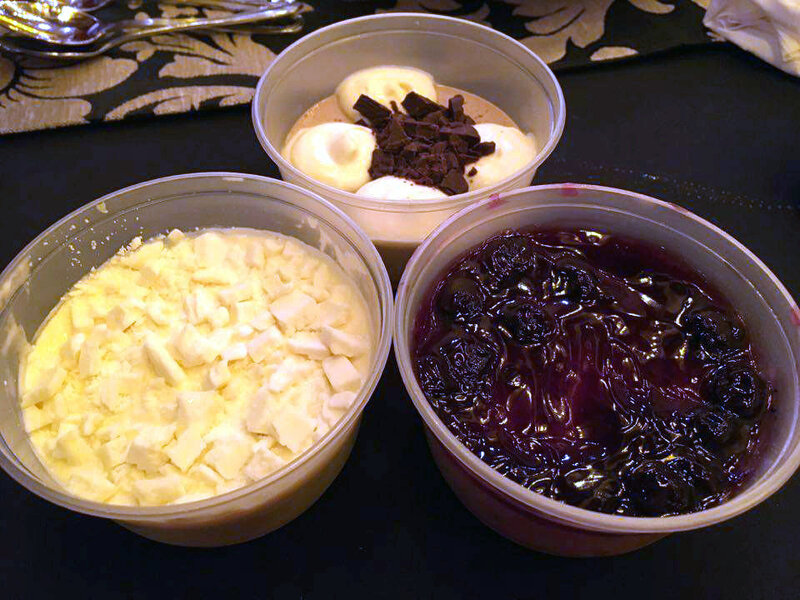 For dessert, Chef Victoria prepared three types of pannacota, Blueberry, Green Tea and Coffee. Blueberry Pannacota is fluffy and creamy with sweet and sour fruity taste while Green Tea Pannacota has milky and leafy taste of tea with white chocolate on top and lastly, Coffee Pannacota has creamy coffee taste with chocolate bits on top. Among the three, my favorite is the Green Tea Pannacota. 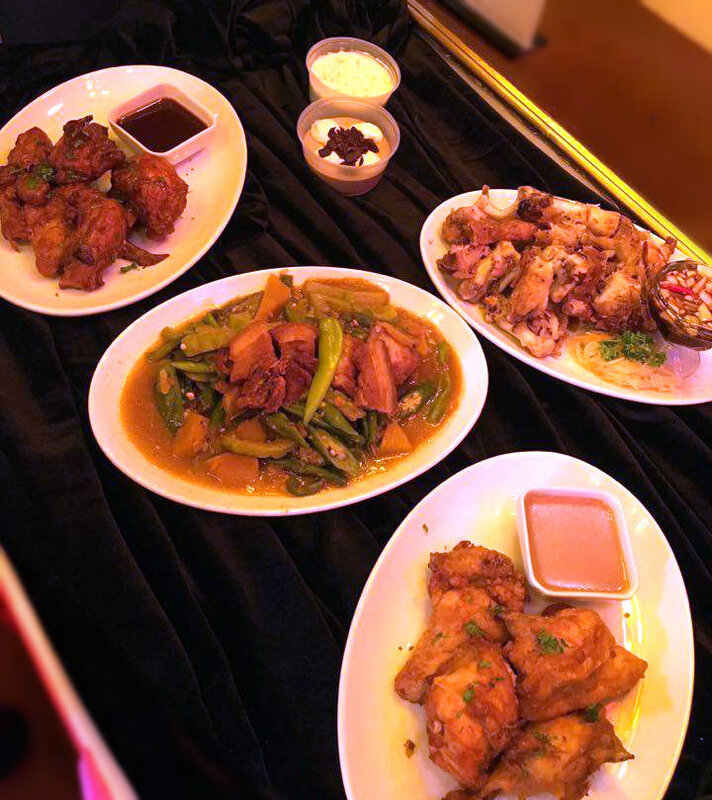 The dishes served that night made my tummy and palate happy but what top the most are Canjun Fish with Tropical Salsa with its melt in your mouth fish meat and the refreshing tropical salsa, Spicy Chicken with its tender meat and sweet and spicy coating and sauce, Pinakbet Con Lechon with its crunchy vegetable and sweet and salty bagoong sauce and Green Tea Pannacota with its fluffy pannacota that tastes milky with leafy taste of green tea. WOW! The staging is absolutely gorgeous and so unique! I would love to dine here! And, the variety of the dishes is very cool too! That place looks amazing! The food is beautiful! YUM!!!! This looks like a really fun place! What a great place! And all that food looks amazing. That room.looks amazing g and the food is making my.mouth water. This is absolutely beautiful! Your pics are amazing! What an interesting place! The food looks amazing! Wow, this place looks awesome! I would love to visit it one day! So unique! I love the paintings! Food looks so tasty. And the theme is very interesting. And the room looks heavenly. Everything looks incredibly appetizing! What a unique experience. The pizzas look particularly delicious. Just a little curious, is this a restaurant or something else? The food sounds great anyway, and I'm sure it's worth trying for people who are going to the place. Wow! The decor is amazing! It looks like a great experience. 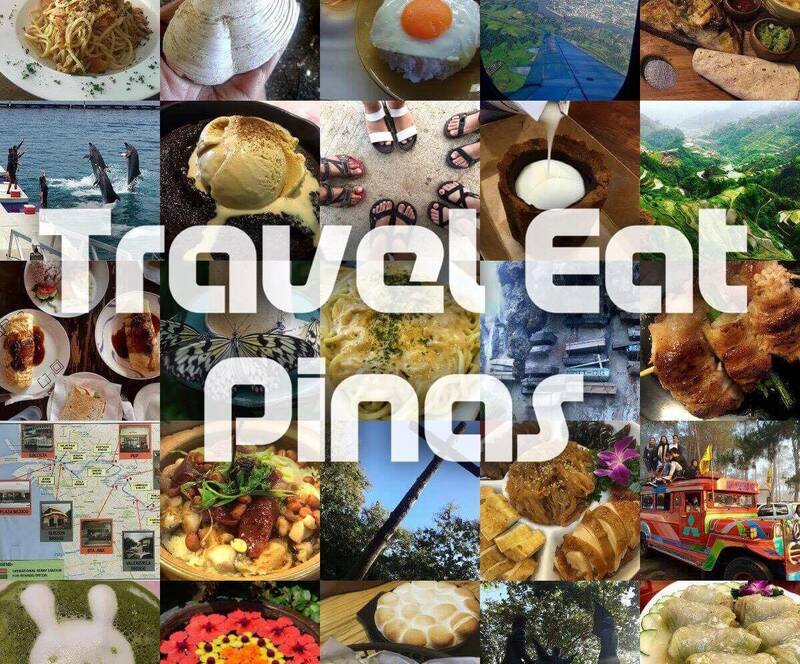 please send some crispy pata! one of the foods that I totally miss back in Philippines! those decors looks extravagant! All that food looks AMAZING!! 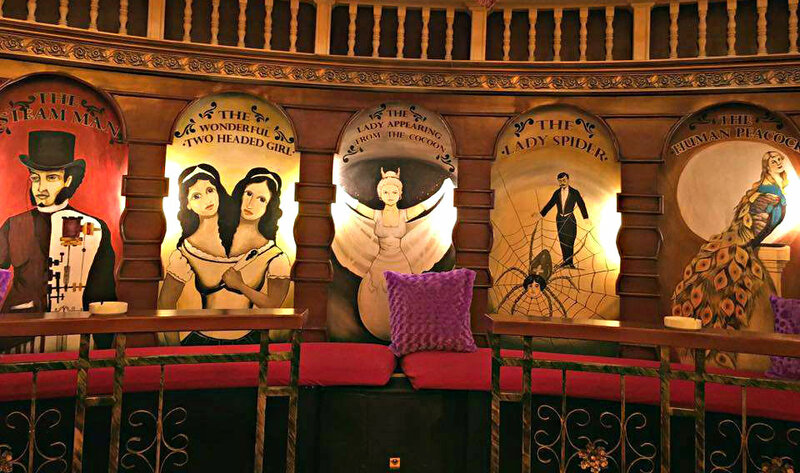 And the decor is so cool! Your photos are so pretty and this made me so hungry!! I'm still not sold on the chocolate pasta. Guess you have to try it for yourself. 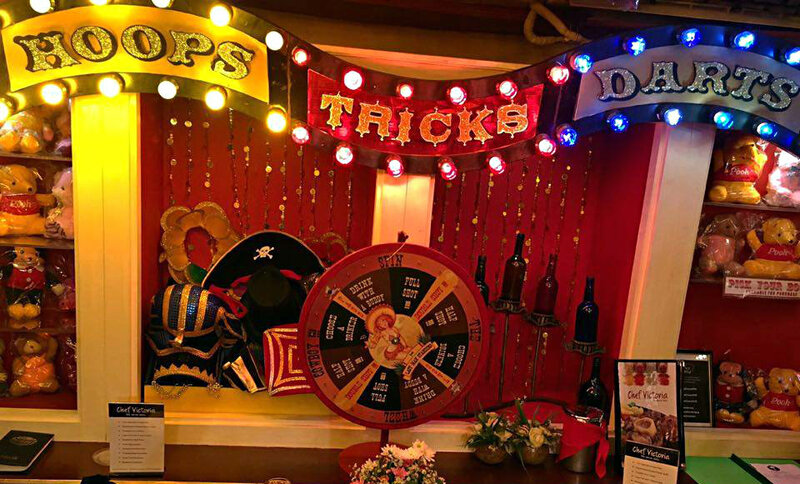 The decor looks amazing and the food delicious! Those tigers looked super real. Your photos are great. As I was scrolling through I was wondering if the food tasted good but looks like it was awesome! Everything looks so delicious! Ambiance is amazing too! Wow the food looks absolutely mouth watering! I love the lighting an decor! Wow! 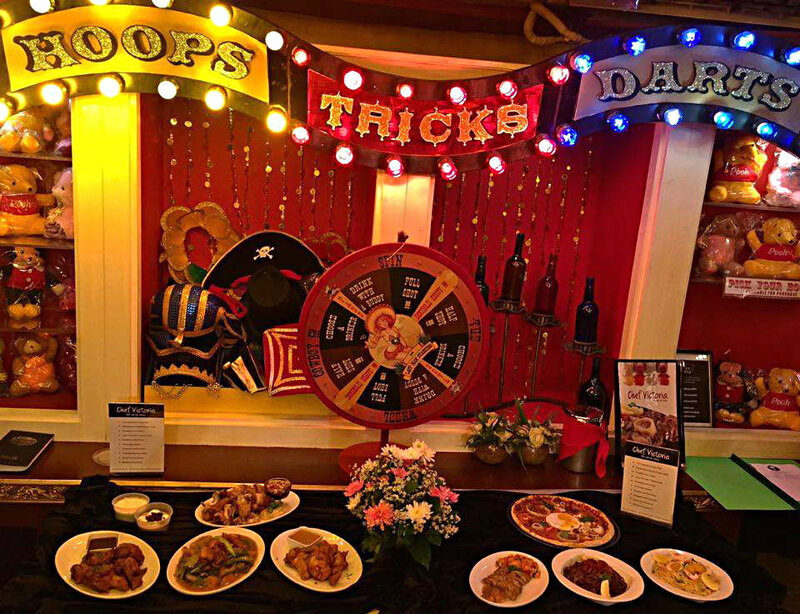 If I knew about this earlier, this will be the perfect venue for my son's carnival theme party. This place is beyond beautiful! Next time I'm in the PI I will visit; never even heard of this place before! What an absolutely gorgeous and fun looking restaurant! I would love to visit there one day.